For 125 years, the Municipal Art Society of New York (MAS) has worked to educate and inspire New Yorkers to engage in the betterment of our city. MAS protects New York’s legacy spaces, encourages thoughtful planning and urban design, and fosters inclusive neighborhoods across the five boroughs. We have reviewed Senate Bill 6760 (the “Bill”) and strongly recommend that it be disapproved by the State Legislature. This Bill would eliminate a citywide cap on residential FAR, which has been set at 12 since 1961. This amounts to one of the most significant changes in zoning in more than 50 years. It could lead to dramatic citywide increases in bulk and density without sufficient public review. On principle, we agree that restoring power to the City on zoning issues is a laudable goal. MAS also strongly supports efforts to build more high-quality affordable housing in New York. However, we also believe that a true community-based planning approach is the most appropriate means of achieving these objectives. Efforts to remove this cap have been rushed and leave little room for public engagement. The Bill would allow for significant new bulk in New York City’s high-density residential neighborhoods, especially Midtown and Lower Manhattan, but also the avenues in Manhattan south of 96th Street, Downtown Brooklyn, and the Queens waterfront. These neighborhoods are zoned for the maximum residential density currently permitted (R10 or R10 equivalent districts). If the residential FAR cap is removed, the City would look to upzone many of these areas to increase density, and facilitate the production of more affordable housing under MIH. Adding more density to what are some of the country’s most populated districts could overburden the City’s already stressed infrastructure network and crowd out light and air for neighboring properties and public spaces. 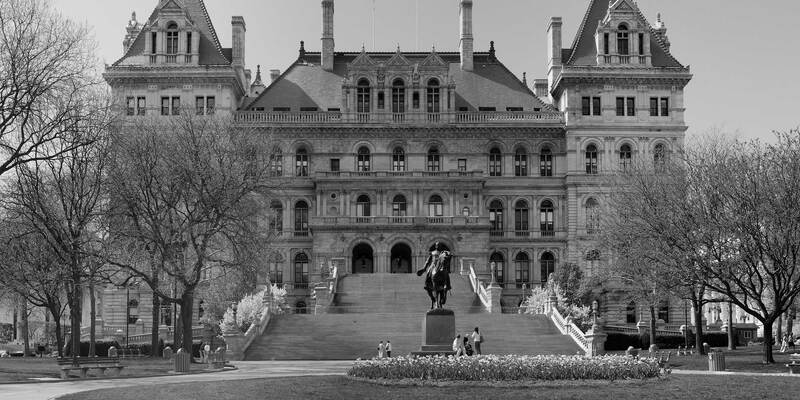 The Bill will lead to the preference for residential development in mixed use districts, as residential use commands a much higher price per square foot compared to other uses. This is contrary to the City’s stated goal of building new commercial uses in many of these high-density, mixed use districts. The Bill, as currently drafted, could pose a potential gaping loophole for property owners to obtain density increases above 12 FAR with approval from the Board of Standards and Appeals (BSA). BSA approvals are not subject to ULURP and therefore do not carry the same level of public scrutiny as other similar actions. Furthermore, the Bill broadly relies on CEQR and ULURP as protections to safeguard against the potential adverse impacts that could result from discretionary land use decisions once the FAR cap is lifted. However, as we have identified in our 2017 Accidental Skyline Report, both processes are seriously flawed and rife with deficiencies. MAS’s 2017 Accidental Skyline Report identified myriad loopholes including structural voids, gerrymandered zoning lots, and zoning lot development agreements that developers exploit to increase height and bulk of projects and avoid public review. Unless these loopholes are closed and an effective public review process is put in place, there are few protections for communities. Neither the justification nor the impacts of the changes proposed in this Bill have been explained or acceptably explored. Before enacting this drastic amendment, the potential outcomes from this proposal, intended and otherwise, need to be examined and thoroughly discussed.